As the majority of college students know, writing is an essential part of life regardless of one’s career path or major. No matter what an individual’s personal interests are, writing is critical for communication among bosses, co-workers, peers and the rest of the world. UCCS offers the Writing Excel Center as a resource for all students to utilize. The center provides a supportive and encouraging environment for all students to build confidence and become stronger writers. Jeremy Craig and Drew Groter are both writing consultants who are able to thoroughly explain the services that the center offers in addition to sharing their mission and values. Groter is a graduate student in the Teaching English to Speakers of other Languages Program, also known as TESOL, while Craig is a senior currently working towards an anthropology major in addition to a minor in history. Anyone who is interested can qualify to be hired by the Writing Center, and the staff is not limited to strictly English majors. As writing consultants, Craig and Groter are always busy with the multiple services the writing center has to offer. Most students find that making 101 appointments is a helpful way to become involved. Craig said “ writing consultants are not available to fix people’s papers, but to make them better writers as a whole.” He emphasized the importance of not letting a student’s voice be lost in the editing process. Both Craig and Groter said that writing is one of their favorite activities. The two explained that the center’s staff is made up of a diverse group of members who are working toward or have already earned a variety of different types of majors. Groter thoroughly explained that to be a good writer, one must also be a hard worker. As he talked about the appointments, he said that they are meant to “approach hard work in ways that aren’t so intimidating.” Because of this method, appointments are in-person, but there is also an option of scheduling video chats or other types of online appointments. One can schedule an appointment through the Writing Center’s website. In addition to 101 appointments, different workshops that focus on a wide distribution of topics are also available throughout the academic year. Workshops are not only designed to help students, but faculty and staff members of UCCS as well. A workshop catalog is posted on the Writing Center’s website which includes citation style, critical reading, peer review and more. Certain workshop topics that are not already offered can also be requested. If one is unable to schedule an appointment or attend a workshop, the center’s website contains many useful handouts and links to other resources. Over 20 handouts are available as a resource for resumes, citation styles, literary devices and many more writing-related subjects. 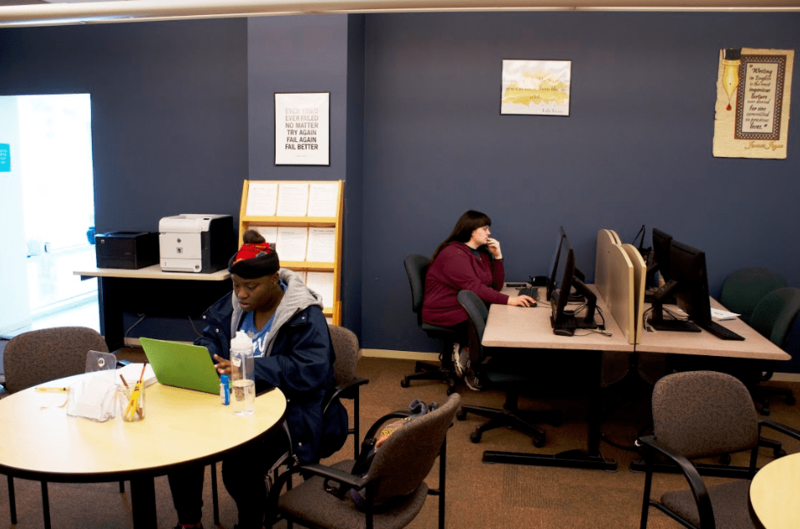 Next time you are in need of help and assistance in building your confidence as a writer, UCCS’ Excel Writing Center is a starting point.